After more than one year of development, MADrigalX is now available for free download! If you want to see it in action, watch this Youtube video. * Huge optimization that makes almost all the games playable at full speed, even with zoom mode enabled! * Fixed some bugs in gameplay, and in highscores saving. Now highscores will be properly saved. * Special zoom modes for some 2-screen games. * Fixed problems with the controls that existed in a few 2-screens games, like Donkey Kong (Nintendo, Multi Screen) or Donkey Kong II (Nintendo, Multi Screen). These games are playable now too. Grab the archive from the usual downloads page. A minor update of MADrigal for RetroPie and RetrOrange Pi was released by Giorgio Balestrieri today. 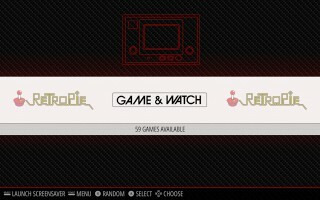 The new version contains a fix to a compatibility issue occurring to RetroPie 4.4. The archive is available for download in the usual files archive. It is updates time again!! 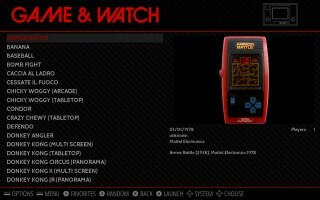 I was recently informed that the RetroArch versions of the simulators of Nintendo Multi-screen's Donkey Kong and Donkey Kong II were updated. The new versions are a bug-fix release relating to issues with the controller, which reportedly occurred mostly on the NES Mini, SuperNES Mini and RetroPie/RetrOrangePi packages. The downloadable archives are up for grabs from the usual downloads page. Attention all owners of pi-based sytems running RetroPie and RetrOrange Pi! Thanks to the effort of Giorgio "Giorba" Balestrieri, the complete MADrigal Collection is now available on these little cute systems, complete with interface, screenshots, the latest LibRetro core, a small database with game information and instructions to install the package! The below images show the system in action. 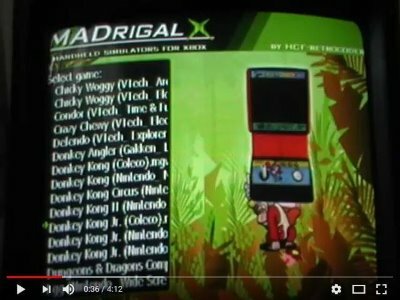 Furthermore, KMFDManic has just released his latest version of MADrigal for NES Mini and for SNES Mini, containing various fixes and updates. Also, the collections can now be run directly from a USB-stick connected to the consoles - without the need of injecting them into the internal flash memory, wohooo!!! The files are available for free download from the popular downloads page.